Our International Meets are week-long gatherings of climbers from all over the world. 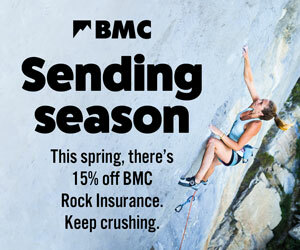 The aim is to showcase the uniqueness of British climbing and connect climbers from across the globe. The 2017 Meet will be located at the Count House in Cornwall, a 200-year-old building perched above Cornwall’s finest granite cliff, Bosigran. During the week, approximately 30 international climbers from all over the world will be teamed up with UK climbers to experience the delights of Cornish sea cliff climbing. Past meets have attracted climbers from Europe, Japan, South Africa, India, Pakistan, China, Canada, America, Israel, New Zealand and Iran. Each day you will be teamed up with an international guest climber. Your role is to climb together with them and show them what trad climbing in Cornwall is all about. You need to be a competent trad climber with experience of climbing in the West Penwith area of Cornwall. The BMC International Summer Climbing Meet will run from Saturday 13 to Saturday 20 May 2017. The Meet will be held at the Climbers’ Club hut, The Count House, Bosigran, Pendeen, Penzance, Cornwall, TR20 8YX. • Each day an international guest will be paired with a host climber to go out climbing. • Partnerships will change every few days so that you get to climb with different people. • There will be several evening presentations throughout the week by the UK & international climbers. Invites will be emailed to international federations by 18 November. Please contact your federation if you wish to take part as an international guest. The deadline for Federations to apply by is Monday 16 January 2017. Please contact Becky McGovern at the BMC by email or telephone 0161 438 3302.